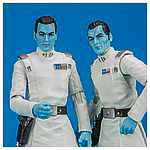 When Governor Pryce of Lothal wanted a stronger commander to dismantle the rebellion, the Empire answered with Grand Admiral Thrawn. 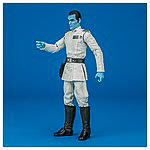 Thrawn was a male Chiss, with striking blue skin, red eyes, and an angular face, known for his brilliant strategic mind and ruthlessness. 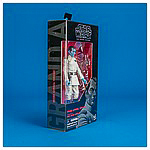 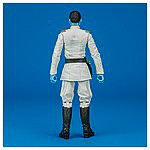 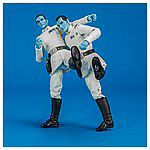 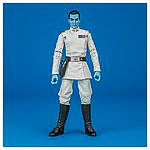 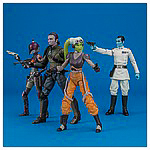 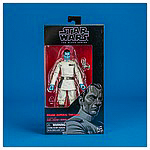 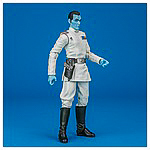 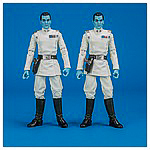 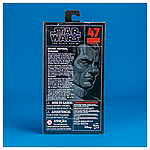 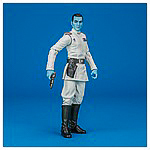 Originally offered as a 2017 San Diego Comic-Con exclusive, Rebels 47 Grand Admiral Thrawn 6-inch action figure featured on this page was released on September 1, 2017 as part of The Black Series Force Friday II releases. 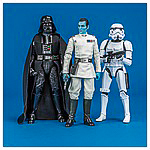 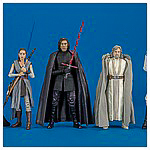 The assortment it shipped with also included Rebels 42 Hera Syndulla, A New Hope 43 Darth Vader, The Last Jedi 44 Rey (Jedi Training), The Last Jedi 45 Kylo Ren, The Last Jedi 46 Luke Skywalker (Jedi Master), and A New Hope 48 Stormtrooper. 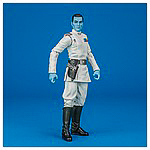 What Makes This Thrawn Unique? 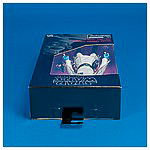 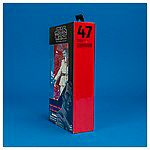 The original San diego Comic-Con release was missing the silver paint around the rank bar. 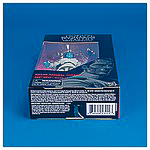 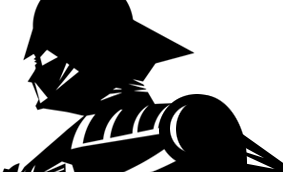 The mass release version corrected the error.